April/May with the sunshine making an appearance, feel inspired by the Chelsea Flower show and get your gloves on and get digging! Have a look at our potting table, great for any gardener wishing to get organised; and afterwards sit down with a mug of tea and enjoy the fruits of your labour on our terrace table and chairs. 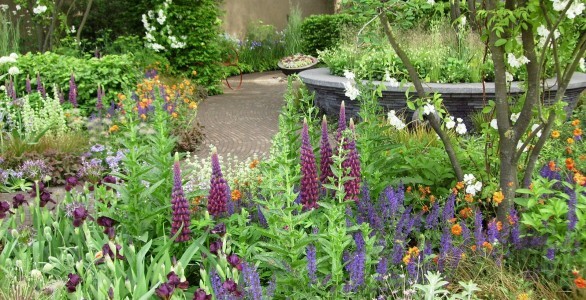 An ideal course for anyone wanting to create a wow factor in their garden this summer. You’ll receive advice on what flowers are suitable to use and how to grow simple herbs and salad plants too! Walk away with your own floral design/arrangement in one of our lovely pots or baskets see our school schedule for more details.